Allied market research published a new report titled, “Global Medical Robotics and Computer - Assisted Surgery (MRCAS) Market (Equipment, Applications, Geography) - Size, Share, Global Trends, Company Profiles, Demand, Segmentation, Forecast, Research, Report, Opportunities, Insights and Analysis, 2013 – 2020.” The report is an extensive study on the market insights for all the global players and investors in the field of medical robotics and computer assisted surgery (MRCAS). Medical robotics, as the term suggests is the use of robotics technology in the field of medical sciences. During surgeries, these robots allow surgeons with greater access into areas under operation, using less invasive and more precise methods. In the next few years “service robots” would be entering the healthcare sector to assist the doctors in the hospitals and other medical institutions. If not the one, then definitely internet is one of the most important aspect of the globalization phenomena. Internet is the widely used communication medium across the globe for various purposes including business, entertainment, news and also personal. There is so much that people can do with the internet today such as social networking, blogging, marketing etc. However, there are security issues related with the use of internet. There have been incidents reported by many business firms of online security theft, across the globe. Internet like every other thing has its Pros & Cons. Statistics in 2013 showed that there has been an increase of 26% of losses incurred by the businesses due to cybercrime. The growing incidences of cybercrimes due to unethical hacking, has raise the concerns about internet security fora wide range of businesses, mainly financial institutions. As per a new report by Allied Market Research titled, “Optical Imaging Market - Industry Overview, Size, Growth, Analysis, Global Share, Trends Opportunities and Forecast 2012 - 2020” the global optical imaging market was valued at $915.75 million in 2012 and is expected to register a CAGR of 12.2% by 2020. Optical imaging is an upcoming and rapidly growing imaging technique which is used mainly in the medical offices. It helps in improving diseases diagnosis, treatment and prevention. It enables accurate and proper viewing of body organs, even molecules and also tissues. The report by Allied Market Research provides extensive knowledge on the global optical imaging market including the latest market trends, growth factors, market size & forecasts, etc. The market includes Near-Infrared Spectroscopy (NIRS), Photo-Acoustic Tomography (PAT), Hyper-Spectral Imaging (HSI) and Optical Coherence Tomography (OCT). Allied Market Research’s new report titled, “Global Silicon Photonics Sensor Market (Products, Application, Geography) - Size, Share, Global Trends, Company Profiles, Demand, Insights, Analysis, Research, Report, Opportunities, Segmentation and Forecast, 2012 – 2020” analyzes the global silicon market to provide a useful piece of information for the related businesses. It gives insights into the global market trends, applications, factors of growth, forecast, etc. Silicon Photonics involve the study of photonic systems using silicon as the optical medium to process, generate, transmit and manipulate data with a higher efficiency between microchips. Silicon photonics technology transmits data with faster speed, consuming less power and low cost. Thus, manufactures across the globe are adopting this technology in order to increase processing and computational abilities of the data centers. Medical implants are manufactured medical devices which are used to support, replace or enhance any biological structure. Medical implant helps people around the globe to lead a better life. Growing need for an enhanced life for old age & disabled people, and recent development in medical technology is helping the medical implant market to grow. A new report titled, “Medical Implants Market - Growth, Global Share, Industry Overview, Analysis, Trends Opportunities and Forecast 2012 – 2020” by Allied Market Research is a useful piece of information of the market insights. The report provides a fair analysis of the market scenario according to the geographies, latest trends in the medical implant market and growth rate of these trends. Allied Market Research published a new report titled, “3D Printing MARKET in Emerging Economies - China, India, UAE, Brazil, South Africa (Components and Applications) - Size, Share, Emerging Trends, Company Profiles, Demand, Insights, Analysis, Research, Report, Opportunities, Segmentation and Forecast, 2013 – 2020.”The report provides in-depth insights for the 3D printing market in the above emerging economies. 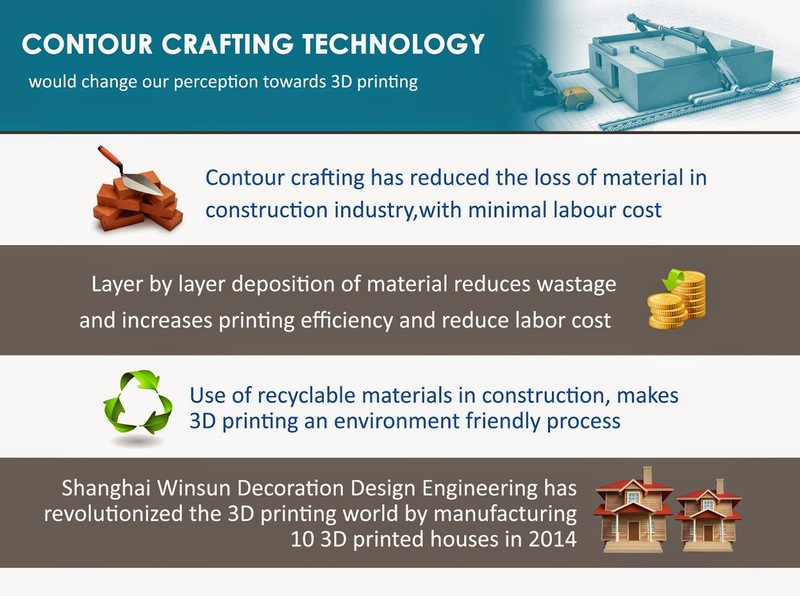 Contour crafting technology would change our perception towards 3D printing and construction businesses. Chinese engineers have explored the possibilities of the contour crafting technology that can help to build, something unique, known as “Print” houses. Contour crafting technology helps to minimize material loss and reduce labor cost. As a result, the cost of the printed house would be less than $5000. The technology uses recyclable materials, which are environment friendly at an affordable price. Technology enables to print 10 houses in a day. High brightness LEDs within LED market are expected to grow leaps and bounds. Allied Market Research recently published a report titled "Global Light Emitting Diode (LED) Market (Technology, Application and Geography), 2013 – 2020." The report is thoroughly studied and precisely analyzed to offer actionable insights into the global LED market. Reduced prices in the last few years along with its ability to produce different colors have fueled the technology growth. The technology is widely applied in electronic devices for back-lighting and display purposes. From mid1990s, cost-effective materials are being used to design HB-LEDs. Today, various semiconductors such as AlGaAs, IInGaN, nGaAlP, etc., are used to to design HB-LEDs. The report extensively studies the market and presents a clear picture of it. This would help the market professional to analyze the market growth rate and opportunities. Thus, one may use it to strategize market related solutions. 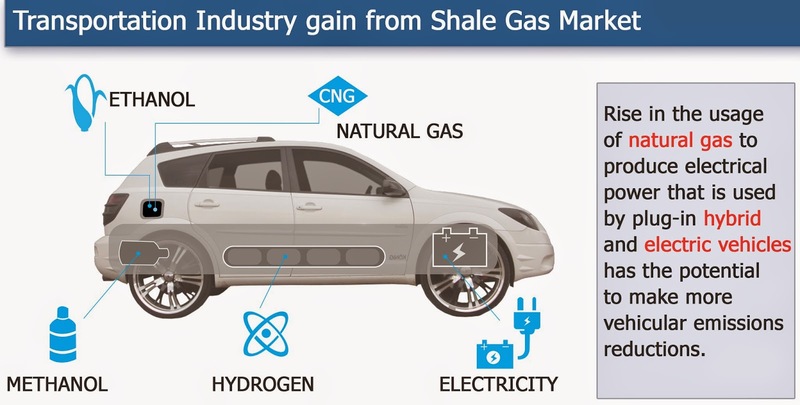 Transportation industry is likely to get a major boost due to increased application of shale gas. It would help to counter the rising fuel prices. Share of railways is increasing in the shale gas market. Similarly, Air industry is also looking for alternate source due to soaring fuel prices. Latest report on DNA sequencing is an excellent piece of material for the market participants to understand the market dynamics. The report titled “Global DNA Diagnostics Market (Product types, Application, Technology, End User and Geography) - Size, Share, Global Trends, Company Profiles, Demand, Insights, Analysis, Research, Report, Opportunities, Segmentation and Forecast, 2013 – 2020,” offers an incisive and wider knowledge about the market. 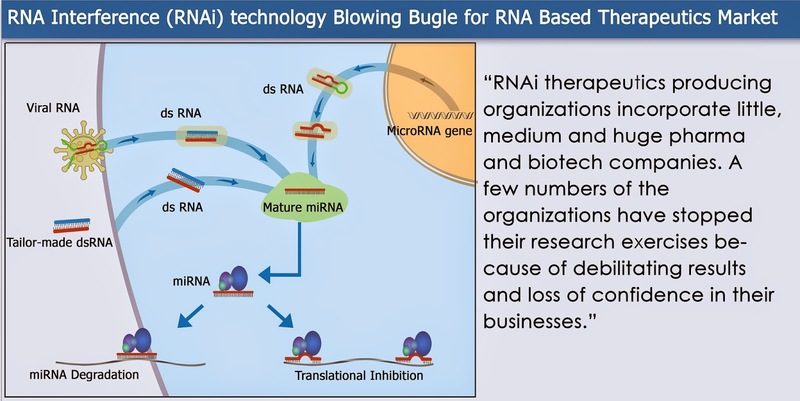 Next-generation Sequencing technologies are becoming a lethal growth weapon for the overall market. lps to decode numerous deadly diseases including cancer. Further, it increases the throughput and reduces the sequencing cost. 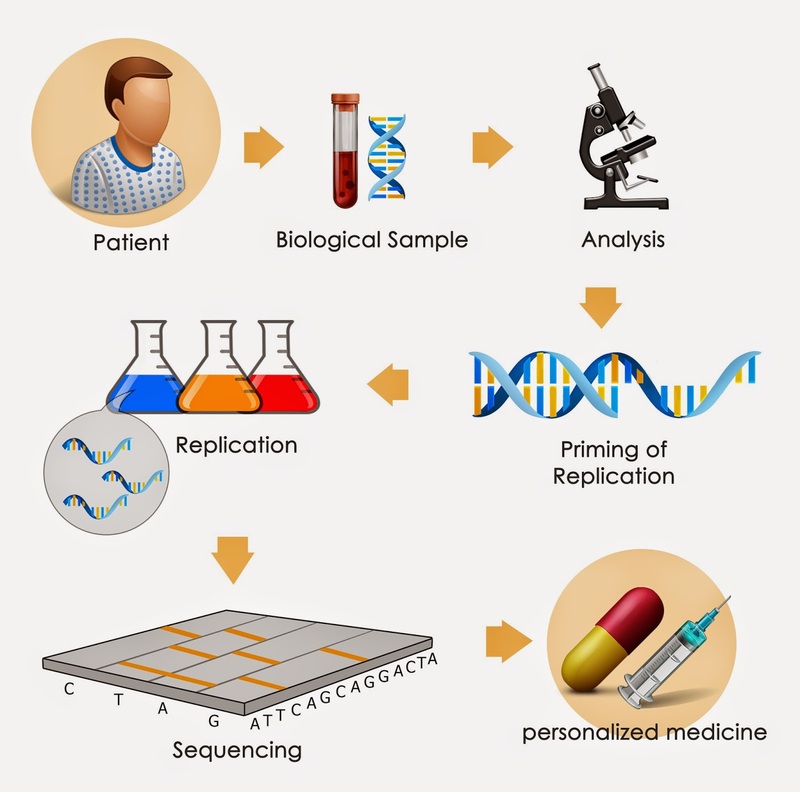 Enabling re-sequencing of human genomes, it helps in identifying the regulatory elements in the pathological process and genes. It is increasingly becoming popular in DNA diagnostics.